Introduction to Laboratory Animal Science and Technology discusses the principles involved in the healthy maintenance of animals in the laboratory or animal house. 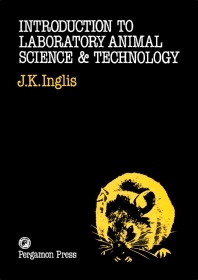 This book is divided into eight six units of study of the physical requirements of animals, physiological data, and techniques of husbandry, followed by summary data capsules and recommended further reading. After an overview of the laboratory animals, this book goes on dealing with various aspects of animal care, including their accommodation, health care routine, and animal health and hygiene. The next chapters examine the components of animal diet, the biological aspects of animal reproduction, breeding and heredity. The final chapter emphasizes the legal requirements concerning anesthesia, laboratory procedures, and the issue of euthanasia. This book will prove useful to laboratory technicians, students, students, researchers, and the general public who are concerned for animals and their use in laboratory work.